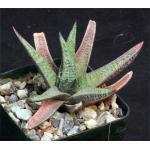 Gasteria baylissiana is one of the most beautiful -- and variable -- species of the genus. 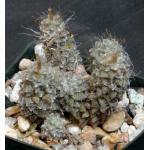 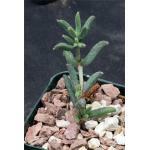 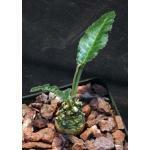 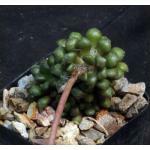 It is from only one locality in the Eastern Cape Province, growing in dense subtropical veld vegetation. 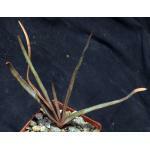 This form is striking with its abundant white spots and tubercles on the distichous leaves. 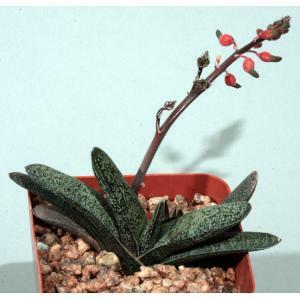 The mostly red flowers are short, stubby, and greatly inflated. 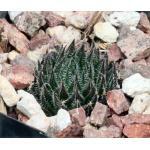 These plants are offsets in 3-inch pots.